Without a doubt this year’s Fragrance Fest was the best ever. The protea farm counted 931 visitors, 99 people popped in at the museum, and the 10h00 tour at Kobus Halliday was oversubscribed. 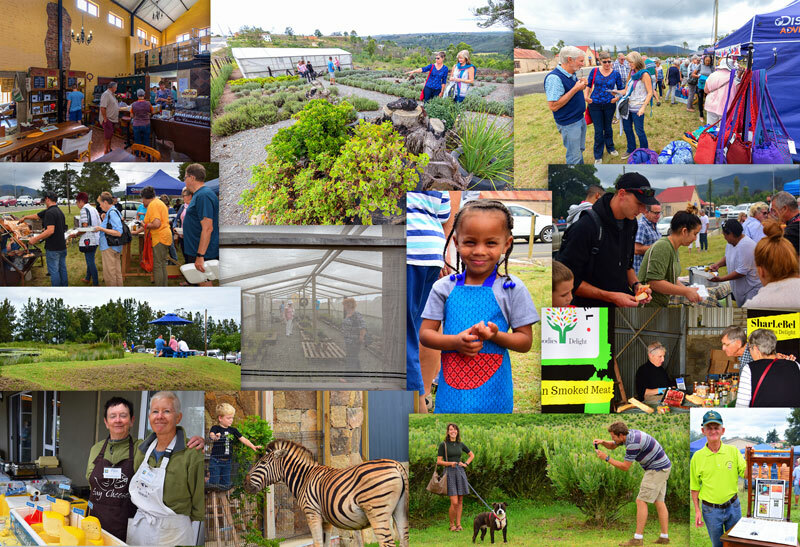 We were blessed with good weather between two very wet days and there was a relaxed vibe at the various venues, where many newcomers visited for the first time. At Hakuna Matata they had fewer “Hap & Stap” walkers though – afterwards we heard that many people from Mossel Bay did not drive out because of wet and windy conditions over there. Not a drop of rain in Friemersheim, where I spent the day at our Shweshwe Stop stall! At Friemersheim, Kretzen Street was buzzing around lunch time. With more visitors than expected the afvalpot was finished before 12h00 and the roosterkoek as well. Luckily Christo stretched his delicious volstruispotjie by serving 3 batches, and the Volkwyn Family had their roasted pig ready at 13h00 so latecomers could feast on that. Tara Marshall from George was the lucky winner of the Botlierskop Lucky Draw at Petra’s stand. Baie dankie aan al die stalletjie eienaars en natuurlik die feesgangers vir jul deelname en positiewe, opbouende terugvoer. Volgende jaar gaan ons groot met Friemersheim se 150ste bestaansjaarvieringe! Sands of time; coastal change in Mossel Bay.